Sign up March 23-April 13 and Finish Your Sh**! Announcement: Small Fandoms Bang Open for Artist Sign-Ups! smallfandombang, the big bang for small fandoms, is open for Artist sign-ups for Round Eight! We currently have 58 story sign-ups and we’re looking for artists! Please don’t be worried that you might not be familiar with many of the fandoms being written; since the challenge is both multi-fandom and small fandom, we expect that you might not be. For that reason we have given artists 6 weeks to complete their fanart, and are charging authors with assisting their artists with character descriptions, screencaps, etc. Also, the types of fanart we accept is pretty broad and not limited merely to cover art and icons. So, if you like to create fanart, including graphics, fanmixes and podfic, please check us out! Announcement: Small Fandoms Bang Open for Author Sign-Ups! smallfandombang, the big bang for small fandoms, is open for Round Eight! All small fandoms (once they have been verified as small) qualify, and there is no requirement that you have to have written a long fic before you sign up. The minimum word count is only 10,000 words and we give you plenty of time to get your fic written. All ratings, pairings, and genres are welcome, as are AUs, and crossovers/fusions between small fandoms. Check out the Author Sign-Up post for more information. If you love small fandoms, come check us out! Artist and Author signups have begun for the 2019 Quantum Big Bang. Multi-fandom, Fix-it themed stories. Status: In signups. Detailed schedule on challenge site. Questions can be directed to site admins via contact form on the site. Irrelevants, come join us at poi_fanworks ! Writer signups are open for 5 more days, closing on 18th July. Completed fics will be 10,000 words minimum. Artist signups remain open until the 7th September. All types of fanart welcome (plus podfic). Time for round 2 of artist claims! We have a couple stories left up for grabs. Check out the summaries here. This round is open to anyone. If you want to claim a second story, now is the time. If you are claiming a story without having filled out the sign up form, please DM me with your email. Other than that, it's business as usual folks. Email me at fantasyfandom.bb@gmail.com or DM with any questions or concerns. Event Description: The DCU Big Bang is a challenge focused on producing written works of 10k, or new this year, 5k, with accompanying fanworks. It’s open to any and all character or pairings that have to do with DC Comics, and we welcome Het/Slash/Fem-slash/Gen fic, whatever it is you write! If you are interested in signing up, please read through the Guidelines! Het Big Bang is Open for Sign Ups! Big Bang: 20,000 words. Any Fandom. Any Het Pairing. Art claims OPEN at wipbigbang! Sign up as an artist and claim fics for art HERE. Claim fics from: The 4400, Band of Brothers, Buffy the Vampire Slayer/Gundam Wing/Naruto, Dawson's Creek, Digimon (Xros Wars manga), The Doctor Blake Mysteries, Dragon Age, due South, Gravity Falls, Grimm, Gundam Wing, Hellboy, Heroes, Hockey RPF, James Bond, Jumanji: Welcome to the Jungle, Law & Order: SVU, Lord of the Flies, Marvel Cinematic Universe, BBC Merlin, The Mighty Boosh, Nancy Drew/Hardy Boys Super Mysteries (1980s/1990s), Primeval, Red vs Blue, Sanctuary/Supergirl (tv), BBC Sherlock, Sherlock/Midsomer Murders, South Park, Stargate Atlantis/Hawaii Five-0, Stargate SG-1, Star Trek: AOS, Star Wars, Supernatural, Teen Wolf, and Yuri!!! on Ice. Fantasy Big Bang is a multi-fandom big bang challenge for any fandoms that fall into the fantasy category. Sign-ups for both authors and artists are open until May 1st. Minimum story length 5,000 words. smallfandombang, the big bang for small fandoms, is open for Artist sign-ups for Round Seven! We currently have 49 stories in 43 fandoms (this includes crossover fandoms), so check out the Preliminary List of Fandoms and then head on over to the Artist Sign-Up Post to sign up! The Sneak Peek post goes up on (or before) Monday, February 5 and Artist Claims open on Wednesday, February 7. Please don’t be worried if you aren’t familiar with many of the fandoms listed; since the challenge is multi-fandom and small fandom, we expect that you might not be. For that reason we have given artists 6 weeks to complete their fanart, and are charging authors with assisting their artists with character descriptions, screencaps, etc. Also, the types of fanart we accept is pretty broad and not limited merely to cover art and icons. Rather than promoting a single Big Bang Challenge, I thought folks in this community might be interested in the spreadsheet I just made of All 70+ Supernatural Big (and Otherwise) Bang Challenges. They are past and present, LiveJournal and Tumblr (and Dreamwidth too), Big Bangs, Mini Bangs, Reverse Bangs, and even Mega Bangs! Links to AO3 collections, years active, sign-up dates, wordcounts, oh my! Everything you might want to know about (that's not actually in the spreadsheet) -- definitions of what's in and out, other resources, future plans! Art Claims OPEN at wipbigbang!! 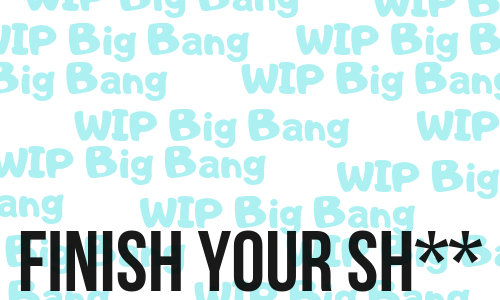 This a multi-fandom big bang dedicated to helping authors finish unfinished drafts. 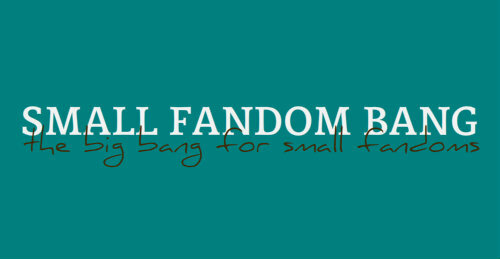 smallfandombang, the big bang for small fandoms, is open for Artist sign-ups for Round Six! We currently have 65 stories in 71 fandoms (this includes crossover fandoms), so check out the Preliminary List of Fandoms here and then head on over to the Artist Sign-Up Post to sign up! The Sneak Peek post goes up on Sunday, February 5 and Artist Claims open on Tuesday, February 7.
spikedluv - Announcement: Small Fandoms Bang Open for Artist Sign-Ups! spikedluv - Announcement: Small Fandoms Bang Open for Author Sign-Ups! traycer - Het Big Bang is Open for Sign Ups! 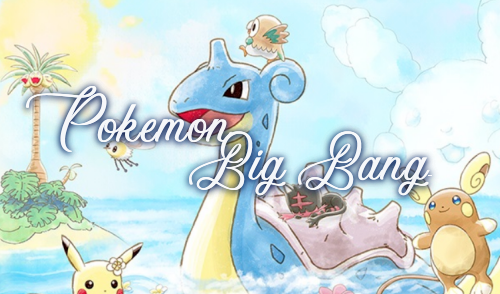 pokemod - Pokemon Big Bang is open for sign ups!